I HAVE NOTHING TO LOSE BY PUBLISHING THE TRUTH! IF I'M SILENT, I'M A DEADMAN! Teacher won at the Davis real estate sales game, fair & square! Although I am a Teacher, & in all honesty, teaching is my goal for my career (teaching may not be as "glamorous" as real estate sales, it is a more noble & honorable profession, & I am academically gifted, & it's my vocational calling), I did in fact outdo the competition in real estate; the local community acknowledged it had become essentially a monopoly game (but it was evident that the other side was highly corrupt & oppressive), & according to Rules of Fair Play & Doctrine of Estoppel, I won. 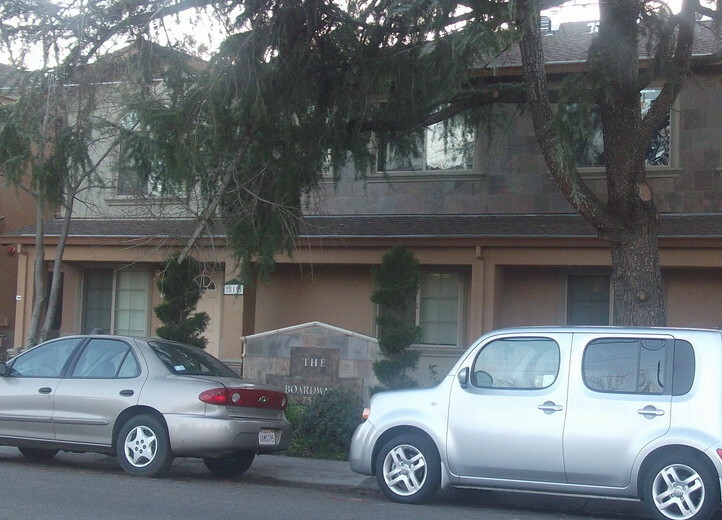 Below is a picture of a 16 unit apartment complex built on the site of the Davis Nursery; I listed & sold this property at list price, nearly a half acre located on H St. in Davis (just down from Davis Little League fields), in 2001 to a Davis citizen named Ali Ghorbanzadeh, a local home builder. He built the apartments on it & I believe he named it "The Boardwalk" because of what everyone in town ackowledged to be the truth, that I had defeated the competition & won at the real estate sales game, & was entitled to the "championship;" recognition as a successful leading salesman at minimum. Despite Doug Arnold of Coldwell Banker, the biggest broker in Yolo County, pressuring almost all the brokers in Yolo County to refuse to hire me in 1997-1999, I succeeded to work & produce sales. Arnold then filed false charges against me & instigated 4 other brokers to do the same, including several false arrests (see cs. 98-3763 in "Court Documented Proof" page) (he continues to this day to control citizens in a conspiracy to enslave & get rid of me). I defeated them hands down in jury trial in Yolo superior court on 17 Sept. 1999; vindicated of 15 out of 15 cts (5 cases total, 8 charges, 15 cts.)! I then proceeded to win over many of the most lucrative clients in town, including the biggest developer, & the most awesome developer, the late Al Smith, & additionally clients such as Donna Lott, Citizen of the Year 2001, the Serrato's of Sacramento, & others. I moreover upstaged Doug Arnold in real estate, creating a lot of excitement in the area. I out-marketed him, I proved him to be a criminal, & won over cream of the crop of the area as far as clients, & defeated him ethically as well, showing love & professionalism to friend & foe. According to the Rules of Fair play, I won hands down, & in an honest community I would have received justice & been established as a professional to be able to go forward with real estate, or any profession I might choose, right then & there. Instead, the community was lured into a cover-up, code of silence, & plot to get rid of me & sweep it under the carpet, mostly because it was a predominantly atheist community, & I am a high-profile Christian, but the community also suffered a blow to the ego (putting it mildly) with the occurrence of the 9/11 terrorist attacks; the community for several years had been dialing 9-1-1 to call police to persecute me for evangelizing about Jesus in shopping centers. These factors acted to polarize the community, including many clients, against me. Owner of Benefit Real Estate in beginning of 2000 said, "Joe, based on what you said that Doug Arnold did to you, you own Coldwell Banker Doug Arnold real estate!" In effect he was enunciating the Rules of Fair Play. Doctrine of Estoppel is a legal, & often binding principle that says that if one party agrees to act, & acts, to their detriment for another party, that creates an obligation, a commitment from the party on whose behalf the acts were performed. I did a lot of work in real estate for a lot of clients, & these clients gave me assurances that they would do business with me at that time & in the future. Both the Doctrine of Estoppel & Rules of Fair Play say I was entitled to my profession & justice at that point, without delays, without any catches, or hitches. I had already battled & defeated my foes fair & square; I had proven myself, I had already defeated & out-marketed the competition & proven them to be wicked. Many of my clients (but not all of them) then subsequently joined the conspirators to attempt to ruin me, including more than 2 years jail captivity, & years of slavery. They deceptively attempted to dupe me that I still hadn't merited success, that the "rules" were, & continue to be, that they can captivate me, enslave me, plot against my life, & it's all part of inheriting or achieving the lucrative successful real estate agent position. Moreover, because they have ultimately plans to murder me, my decision to go into teaching short-circuits a lot of their traps, that were designed with me continuing in real estate; for this reason they commit conspiracies to prevent me from teaching! Art display located in front of Fifth Street Apts., across the street from the Davis post office; statue of unclothed female walking an I-beam balance beam; without a doubt attempt to smear my Mom. In 2001-2004 my parents came to the rescue by providing me with several loans to help me with my employment & legal battles, & had shown support previous to that as well. Since my Mom was more visibly involved, she became essentially Public Enemy #2 in Davis for defending my rights against the local monsters (with yours truly Public Enemy #1; see hangman's gallows made of I-beams below). Notice the balance beam is an I-beam; this was a subtle reference to the 9/11 attacks of the Twin Towers; citizens had used 9-1-1 to call police & commit the 2-3 dozen false arrests & kidnappings of me for spreading the Word of Christ as of end of 2001; they couldn't deny the association of the 9/11 attacks with the community's wickedness use of 9-1-1. From 2005-2007 I was hostage in Yolo jail for 2 years with almost everyone in the county fullly aware of it, & everyone in Yolo County & beyond knew for a fact I was & am innocent, yet no one lifted a finger for my rights. In 2006 a Mexican inmate in jail section A-2 300 named Herrera said to one of the officers, "I'm Minus," & the officer acknowledged the coded communication. I was released & back home as of Oct. 2007, & in 2008 I earned more than $15K petitioning for ballot measures & marketing, yet almost all the citizens in Davis, including my alma mater the Aggies, were programmed to deny me a place to live. They made explicit communications that I wouldn't be renting. I then purchased a truck & shell to stay in. Suddenly my income dropped down to $292/yr, when, despite applying daily for jobs (both then & now), career positions as a Teacher, jobs as a tutor, salesman, management, but also hundreds of applications made for ordinary jobs & grunt labor; dishwashing, sign-waving, cleaning, waiting tables; yet it was again communicated to me not only in Yolo, but also in Solano & Sacramento Counties, that I wouldn't be employed. With only my $10/hr. 8 hr/wk sign-waving job, & that from a Sacto firm ($292/mo. ), local Davis & Woodland conspirators started threatening me that if I didn't quit my sign-waving job, I'd disappear from the community again. 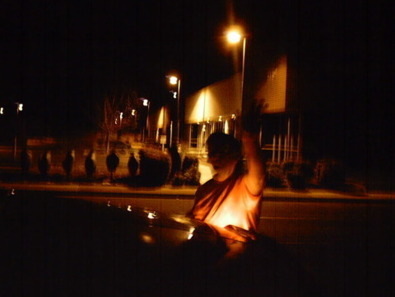 11 Jan. 2010, kidnapped by Davis police, pursuant to Yolo cs. 09-4111 kangaroo trial orchestrated by Yolo judge Gaard & Yolo deputy Tzang, along with Mexican conspirators (at the bidding of Davis atheists), with Mexican inmates in jail repeatedly claiming involvement; I was held hostage for 93 days for my testimony for Christ in Davis, because I refused to stop working, & for holding signs up on a public sidewalk over I-80; constitutionally protected activity. The plot was to tow my truck upon kidnapping me. 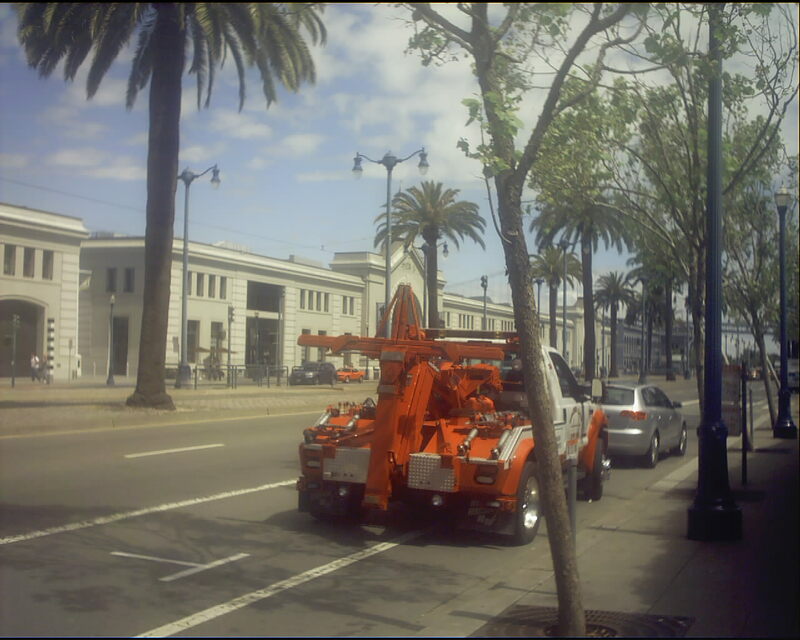 Tow companies locally, & far & wide, testifying that the local monsters are attempting to destroy me because of my testimony for Christ & refusal to leave Davis; towing cos. in Davis recently started using tow hitches in form of a cross, & it has spread as far as San Francisco, where I took a picture of this Golden Gate Tow Truck in May 2010 while petitioning in SF. From 2007 to present (& before) they have been controlling my income & living conditions: Upon income reduction to $292/mo. my alternator & battery both suspiciously went out in one day; from full power to zero, & there were suspicious circumstances as well. Pursuant to a Davis ordinance, you have to relocate your vehicle every 5 days, & it must move by it's own power, or it'll be towed. My truck was operational, except that I didn't have enough income to make $100-200 worth of repairs, as the conspirators had arranged. This meant having to ask for jumps..."Can you give me a jump? Are you negative ground?" Response, "Yes, I'm minus." 3 years subsequent to Herrera's coded conspiratorial inuendo, the local community participated with them to control my life, liberty, & income. I WANT THESE MONSTERS ARRESTED! 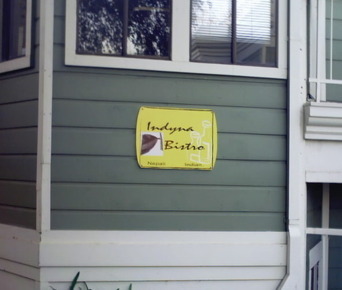 During my stay in SF in May & June 2010, many citizens were supportive & welcoming of me. Many of you all across the nation have heard of me, my struggles, my victories, & the regional conspiracy against me, & many are aware it has been occurring for years. Please stand up for my rights! You can do this by calling the gov't officials on the Justice Power-O-Rama page. Please put the pressure on them! The state & national leaders have the all facts, & yet they have failed to arrest the conspirators. As for my "fame" for ex., my college graduation interview suit that I purchased in 1991 has become "world famous!" Everyone from hip-hop to rock stars to Ellen Degeneres has displayed my suit (grey with light pin stripes design from JC Penney). The design seems to be David Letterman's favorite; ; on a CBS News website, in 8 out of 20 pictures of him he is modeling variations of the suit. 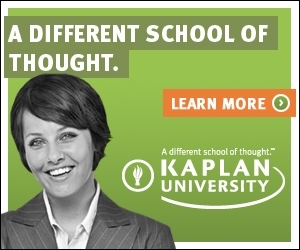 A Kaplan graduate ; this ad was delivered to my e mail, so that I'd be sure to see it. Many of you are probably aware of the "fame" of this suit, that it represents the career(s) that I am worthy of but have been deprived of because of the local scandal & the gov't's failure to halt it; others of you may simply be aware that the design has been unusually popular lately. 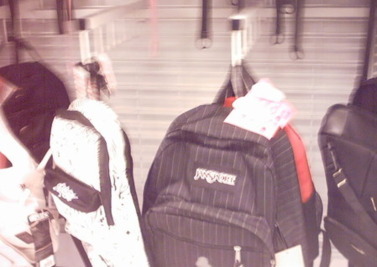 The sports suit design has been incorporated into everything from baseball caps to hats, to backpacks, like this one available in Ross clothing store in Woodland last Sun. (6/28/2009)! Notice also in the Kaplan picture the model's boyish hair style; almost identical to my hair style in jr. high. In 2006 Rolling Stone magazine had an ad with a youth who was the spittin' image of me at jr. hi/high school age; he was seated in a room loaded with trophies, plaques, & awards, & wearing a light green polo shirt identical to one I had at that age. The message of the ad: Everyone knows I am worthy of a huge victory & many awards, yet through scandal they have been robbing me of justice & my just rewards & recognition, while attempting to destroy me! 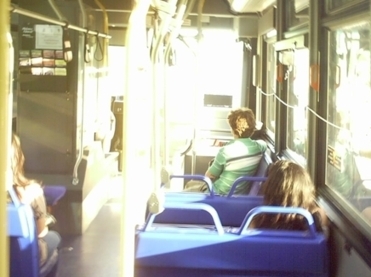 Furthermore, to demonstrate the monstrosity of it, locally there have been local people wearing this same shirt, such as this individual on the bus, & a youth with his parents in Davis, publicly asserting they have succeeded with the cover-up; that they have succeeded at robbing me of the victories of my hard-won court battles & career successes, & my rights, in attempt to empower their ultimate goal of destroying me. The truth about my career: I am a Spanish Teacher; I was working as a real estate agent for a while & gave it my all. Because I overcame the attempts to put me out of business by a local tyrant broker, the biggest broker in Yolo County, people in the area started saying I deserved to be the new #1 broker, the "king" of real estate. While I was flattered, I never claimed this title, publicly or privately, nor was it ever my personal prayer. The conspirators created the label, then spread lies saying I was claiming I had to be the king of RE, & therefore I was being ambitious & egotistical; they brainwashed people into allowing them to persecute me & hold me hostage for 2 years for my supposed selfish ambition! This testimony may also be referring to the national Capitol building. Yolo d.a. communication (pg.1 & pg.2) sent to a third party as part of the conspiracy to destroy me. This communication obviously was never intended to be made public. It is a prima facie admission & confession by one of the conspirators (Yolo district attorney) of the overwhelming court-documented proof of my innocence & their guilt as coconspirators with the Davis police, as of this point for several years they had been unjustly prosecuting me with full knowledge of my innocence. As demonstrated from the chart on pg.2, from 1997 to 2002 there had been 33 cases of charges brought against me, yet only 2 convictions, & those resulted only because the prosecution witnesses lied & I was the only witness on my behalf. 98-5050 I won through appeal; unjust convictions 97-3363, & 99-6524/99-6350. Furthermore, the cases of vindications often involved as many as 5 counts or more for each case. As of 2003 they coerced the judges to participate in the conspiracy, & orchestrated 7 kangaroo trials. Note also I furnished these facts to the Ca. Commission on Teaching Credentialing, with far more documentation, including court documents for each of the vindications/acquittals, & yet they have failed to re-activate my Teaching Credential! In the face of this obvious proof of conspirancy the CTC are coconspirators. Yolo d.a. failed to arrest the Davis guilty parties of the Davis police & others, & instead as of 1999 officially became coconspirators with them. City officials & community willfully place their kids in imminent danger on a daily basis! 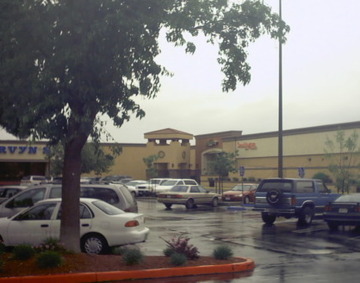 As of end of 1998, when the Davis police had begun systematically violating my rights, the police dept. redesigned their police cars with black & white colors (before it was blue & white) & decals with a horizontal "broken stripe" design along the sides of the vehicles (they subsequently changed the look of their cars again recently). 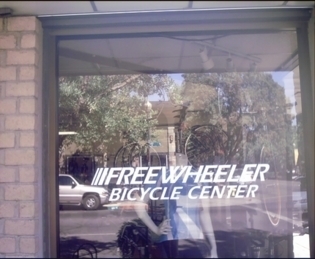 It was several years later before I noticed the decals were the same design as the logo of the Freewheeler bikeshop in downtown (except black in color); the Freewheeler is owned & operated by a member of University Covenant Church & his son. In the past I was a member of University Covenant Church (UCC) until they disciplined me without cause, & although I agreed to the discipline under protest, they then later broke their covenant concerning the punishment, trying to deceptively add more punishment. UCC "leaders" then frivolously called the police on me twice in 1997-1998 because I was still attending despite their deceptive acts (one of them subsequently apologized for one of the incidents). The Davis police, by adopting the Freewheeler's logo for their police cars, made an unequivocal, undeniable public statement that the persecution of me was directly instigated by the false accusations of the UCC officials, & their inuendos against my reputation. I called Scott Agee, one of the UCC elders who was involved with, & had gone along with, the UCC deceptions, & spoke with him on the phone several years later in 2002, after I had publicly vindicated my reputation & won widespread recognition for being talented & hard-working, a reputation as a faithful soul-winner for Christ; I demanded he & UCC repent of the oppressions they had helped instigate, & publicly renounce any further oppressions; he refused, & said, "This is your day!," & hung up. 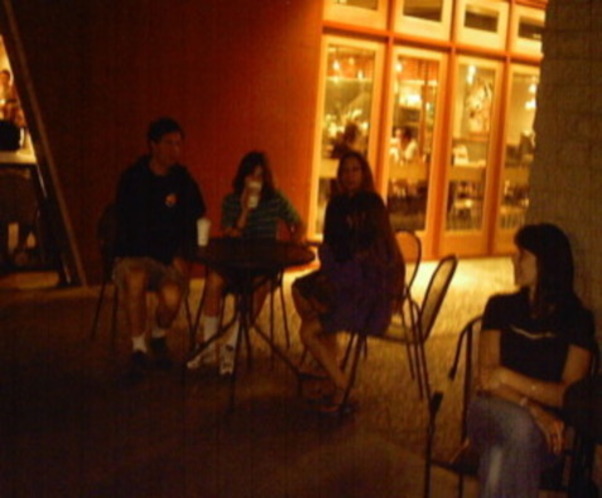 Years later, in 2008, (at about the same time the police were once again changing their police car look to the current design) I was evangelizing on the street corner where Freewheeler is located, Second & F Sts., & the owners called the police to have me kidnapped (I was on a public sidewalk!). Despite UCC's hate crimes instigating a 2 year captivity, & despite my succeeding in flying colors in proving myself to be a hard-working, capable professional in the community & an involved, law-abiding citizen, they are still trying to instigate the police to destroy me! Because it hasn't been the m.o. 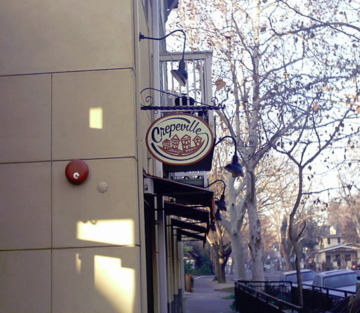 of the Davis police to kidnap me from sidewalks (only from shopping centers, etc. ), the police didn't oblige Freewheeler's request to oppress me in that particular instance. The Dpd's police car design constitutes proof that the leaders of UCC were placed on notice & were & are fully aware of the consequences & the severe damages their lies & false accusations have caused me. 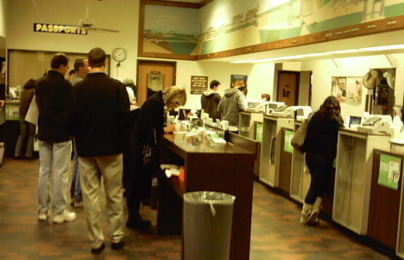 Whether or not UCC leaders & members have been directly involved in the ensuing full-blown conspiracy that resulted as of 2003 & continues to this day, they had the unequivocal duty & obligation as early as 1998 to publicly state & warn citizens that UCC wasn't condoning the willful, systematic, cold, & calculated violative acts repeatedly committed against me by the Davis police & any other citizens claiming to be an extention of UCC's deceptive acts, & wanted no part of such crimes & persecutions. UCC's willful & prolonged silence, with full knowledge that they had instigated repeated hatecrimes against me, including kidnappings & enslavement & hostage captivity of me, was & is implicit approval & ratification of the oppression against me, & the oppressors' claims to be performing it in UCC's name. I am not commenting here as to any evidence of direct involvement of UCC in the hostage captivity. Currently the conspirators are harassing me & making death threats to force a confession of a 1999 incident that I pushed a neighbor who had come to my residence to make false accusations against me when I lived on Drake Dr. But when I say the oppression involves coercing a "confession" that I "pushed" someone, I mean they are harassing me to force a literal confession of that exact verbage, containing the terms "push," or they would be delighted with a "shove" statement as well! I truthfully testified to the facts of the incident in Yolo court jury trial Yolo cs. 99-6530; this testimony is on pg. 98 of reporter transcripts, copy available here for all to see. Prov. 24:26; "A kiss on the lips for him who tells the truth." D.a. : "Did you push him?" Sherman: "...I took my hands & carried him off the property." D.a. : "Did you put your hands onto Jeff Workman's person, on his body?" I never testified that I didn't touch him, but man to man, it wasn't enough to be a "push." 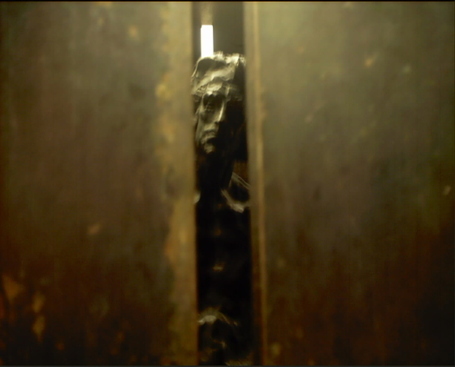 If I could do it over, I would holler at him & close the door. But the hate criminals were false arresting & kidnapping me (1)while testifying about Jesus in shopping centers, (2)while trying to earn a living in real estate in town, & (3)for simply being in the community! & now they were coming to my front door & falsely accusing me!!! Additionally, that same morning someone in downtown had grabbed me in a hostile manner. I had never seen Workman before; at first I thought he was the guy from the hostile incident in downtown, & so I may have lost self-control. but I'd never been to his home, nor had I done anything to him or his wife; they came to my front door to harass me, presumably because they had read about me in the newspapers, & didn't want me living near them. But the fact is, a month before this incident, in Sept. 1999, my reputation had been absolutely publicly vindicated in a jury trial, involving 5 false accusers, a total of 8 false charges, 15 counts against me; the judge threw out 2 cts. & the jury acquitted me of all the other cts., cs. 98-3763. This was such an overwhelming victory that everyone had heard of it; there is no way these neighbors wouldn't have been aware of it! They were trying to protect the police & prevent me from escaping from the clutches of the hate criminals. Telling the truth isn't enough for these terrorists. They have been reaming me, claiming that if they don't get their choice of verbage, it's lying & can continue to harass me. This demonstrates their crimes of slavery. Further proof of this cold, calculated plot, is that in 2003 the harassment culminated in a false arrest on Yolobus involving Yolobus driver, police, & a passenger, falsely accusing me of pushing him (cs.03-1710); once again, my trial testimony was truthful; he was trying to start a fight, blocking my way to a seat on the bus, & I refused to fight him on the bus & simply squeezed past him to take a seat. There were as many as a dozen passengers on the bus who could have testified on my behalf when the police arrived, but none of them lifted a finger. They wanted to make me pay for the "lie" of 1999. I was found guilty in kangaroo trial & was held hostage in jail for 40 days. & this was despite a witness, Karen Whala, testifying on my behalf from a previous false arrest on Yolobus by the same bus driver & same police officer on the same bus 1 1/2 mos. previous! Charges were dropped in previous cs. ; they violated my rights. Furthermore, cs. 03-1710 was the sixth false arrest/kidnap of me over a 4 year period, & I had been vindicated of the previous 5, proving Yolobus already had a plot to illegally ban me & whitewash the Davis police hate crimes. 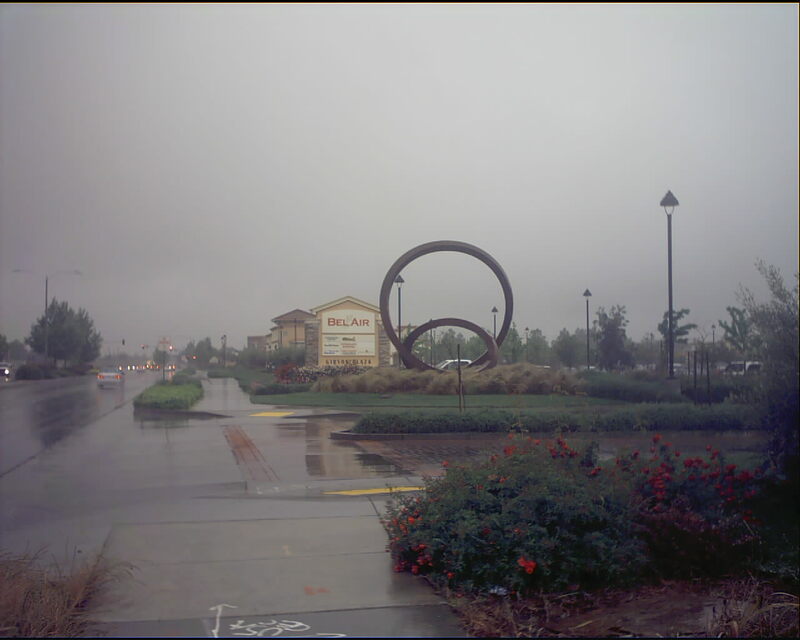 Plot within community to jail me "sitting or standing"
Statue of man standing in cage in base of I-beam gallows located in Davis Commons shopping center. 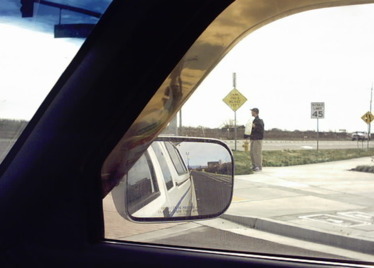 He is standing, as opposed to sitting, because it became common knowledge that despite dozens of false arrests/kidnappings, & subsequent 24-hr book & release (unless they held me there longer), I was refusing to sit in the Yolo county jail cell; instead I stood at the door within view of the booking officers, complaining & demanding release. They were fully aware of my innocence & the plot against me! Instead of releasing me, they usually laughed & sometimes prolonged the process, delaying my release, because I complained & pleaded for justice. (At least one of the Yolo sheriff's officers, deputy McMasters, did complain on my behalf). See Public Enemy #2 . 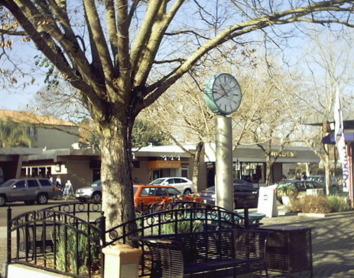 Cages with "standing room only" at E Street plaza in downtown Davis, same location as the Big "indiglo" clock (see below), demonstrating plot to jail me sitting or standing. 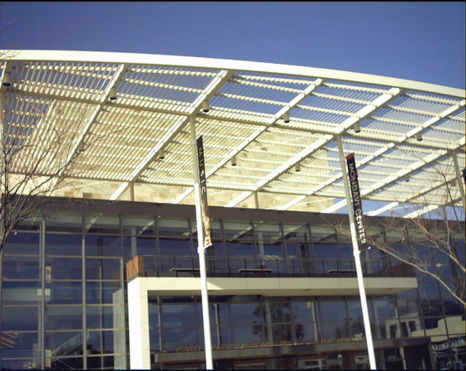 Front of Mondavi Center on UCD campus, with jail bar "covering" over the entrance. 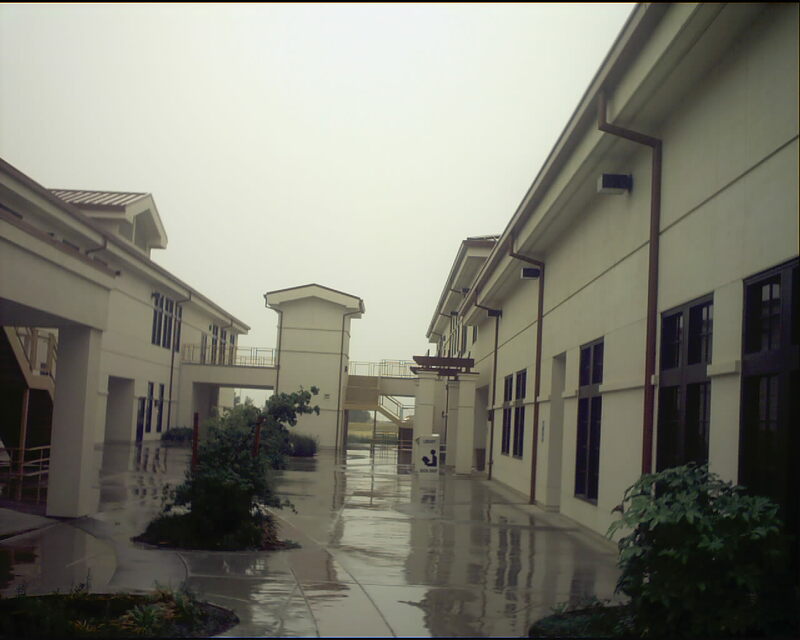 Constructed in 2003-2004, several mos. before I disappeared for 2 years (held hostage in jail) from false charges brought against me by UCD police & officials, several students, & Davis police. City of Davis employee w/handcuffs, a clear intimidation tactic. 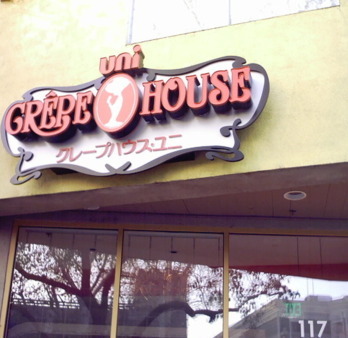 As far as I know, the employee's name is Ike Nojoku. Marriage bed innuendo with death row implications located near main intersection of Fifth & G Sts. Chair in Hickey Gym conspicuously placed where I regularly change clothes to take a shower. See Aggie hoodlums below. Simultaneous to this "prop," several other locations where I usually go, chairs were conspicuously placed as well. It occurred simultaneous to me posting evidence incriminating on this site, & was accompanied with insinuating comments. Conspirators in this county have have been placed chairs conspicuously, which, combined with other unmistakeable inuendos, are veiled threats of a plot to send me to the electric chair. 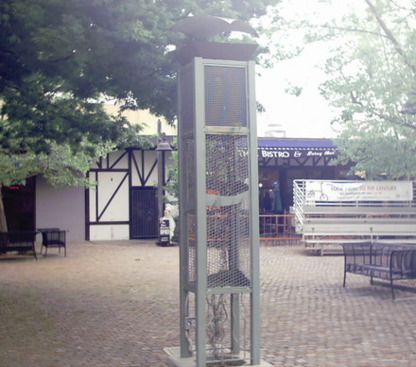 In the context of 2 year captivity with most of the community denying knowledge of the hate crimes & almost no one lifting a finger to prevent or halt it, or arrest the conspirators, & in the context of a publicly displayed I-beam gallows with a statue of a man caged in the base of the gallow, it isn't an option to ignore these threats. Aggie hoodlums with black jackets & hoods overseeing the public swim program & one of the entrances to hickey Gym public showers where I often shower. But this is the third picture that I took of them with black hoods at the pool (like hoodlums, henchpeople, or the grim reaper); the other 2 shots somehow were deleted, & in the other pictures they had hidden their faces out of shame. In this picture they were ready for me, & it amounts to a staged "pose," with smiles, to create the impression for the internet that it's all just for fun. But make no mistake, my 2-year disappearance, held hostage when everyone knew I was innocent, was very real, as well as the conspiracy to keep me from renting & having a job, & conspiracy to end my life. & these are the people, along with many adults in the community, who are doing it. The law declares their acts to be terrorism & conspiracy, yet they try to brainwash people that they are just kidding. 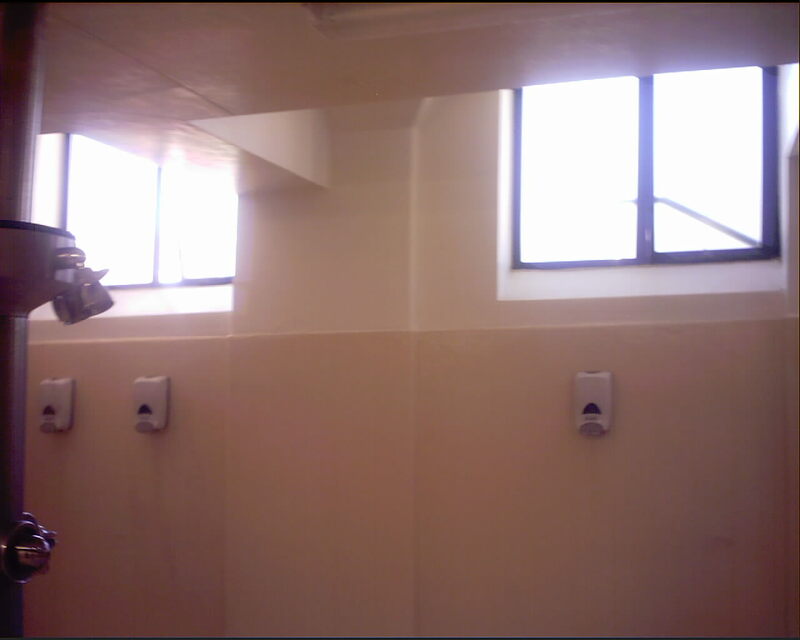 Shower windows "left open" for maximum "exposure;" you come into the shower area & suddenly notice there could be people looking at you through the window (male & female swimmers are right outside the window)! Their acts "for fun" have the direct result of hostage captivity, robbing me of work & residence, sabotaging my e mails & appellate briefs, & concocting plots to end my life. Rebuking them doesn't do any good, that's what they want; to force you to have to respond. They have learned that no one arrests them or punishes them, so they have become monsters. The acts in these picture, constitutes at minimum the crime of casing & stalking, but in the context of many people in the community participating, it becomes conspiracy. They commit discriminatory acts & plots, or acquiescence to those who commit them (wink & nod, code of silence, failure to arrest the conspirators). 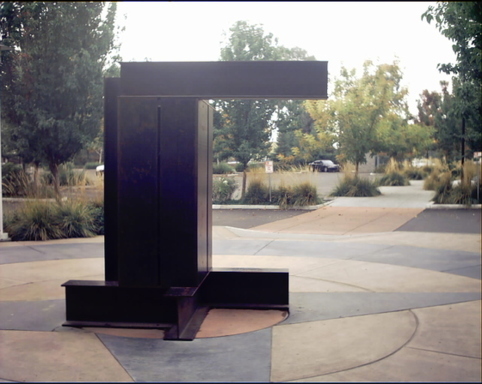 Big "indiglo" clock located in E St. Plaza in downtown Davis; installed at end of 2003, putting everyone on notice to "go with the program" of the plot of 7 kangaroo trials & 2 years unjust captivity of me that began 2003-2004 (big clock was code for "big lock" or 2 yr unjust jail captivity). 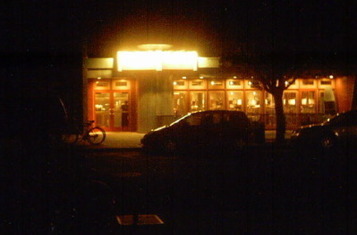 Further significance: The clock has an unmistakable "indiglo" lighting at night: Davis police custom of coercing local businesses to discriminate; one of the first businesses to call the police & threaten me with arrest for no reason (based on prejudicial custom) was Woodstock's Pizza in 1999. Dee was Woodstock's manager, & she & her discriminatory act became a symbol for other businesses in Davis committing hate crimes against me (convenient symbol; "Davis" starts with a "d"). 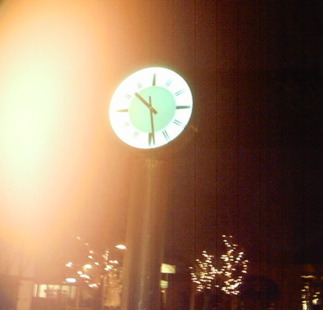 The message of the big "in-Dee-glo" clock: Their corrupt "watch," signaled an attack that was the culmination of the hate crimes of Davis police, Dee, & the other establishments who had participated in the custom against me, resulting in my disappearance (held hostage) for 2 years. (5)Chinese deputy attorney general Winn robbed me of my real estate license through kangaroo court proceedings. While I plan on teaching for a living, if you let them take away a professional license for (false) accusations of pushing someone, you're shut down! Gibson Plaza "Q" a design at the East entrance in the form of a "Q"; as in "Take your cue; they're dangerous; they're attempting to send him to prison & destroy him when all he's done is free speech in a public forum!" 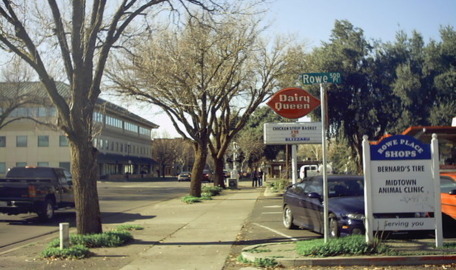 In downtown Davis there are regularly signs in the middle of the sidewalk, blocking traffic, such as this .Vito's Pizza sign, & no one does anything about it; I have regularly moved the signs or tipped them over, & complained to the city manager. I have been marketing magnetic water conditioners door-to-door, & almost 25% of the homes have junk on the floors in their homes at the doorways! Shoes, toys, & other junk; they are too lazy to clean it up! I took you from the ends of the earth, from its farthest corners I called you. I said, 'You are my servant'; I have chosen you and have not rejected you. So do not fear, for I am with you; do not be dismayed, for I am your God. I will strengthen you and help you; I will uphold you with my righteous right hand. All who rage against you will surely be ashamed and disgraced; those who oppose you will be as nothing and perish. Though you search for your enemies, you will not find them. Those who wage war against you will be as nothing at all. For I am the LORD, your God, who takes hold of your right hand and says to you, Do not fear; I will help you. Approx. 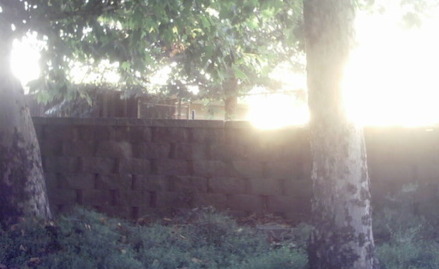 3-4 mos. ago a foreman of Harrison Construction was coming by every morning at 5:30AM honking his horn repeatedly & shining a spotlight into the windows of my residence. The stalkers try to claim it's ok for him to harass me because I'm usually not up until 6AM (I get 6-7 hrs. of sleep every night; rarely more than that, & if I had more friends to hang out with, it would be less than that, often. Over & over again I have stayed up late, if not all night, when someone has the guts to actually hang out with me!) 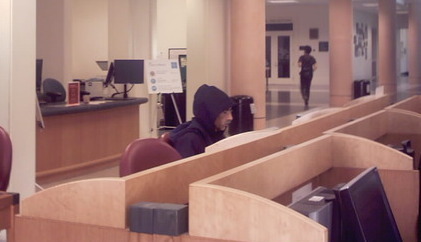 I got up & confronted him, & reported it to the Feds & Ca. Atty General, & it stopped for a while. 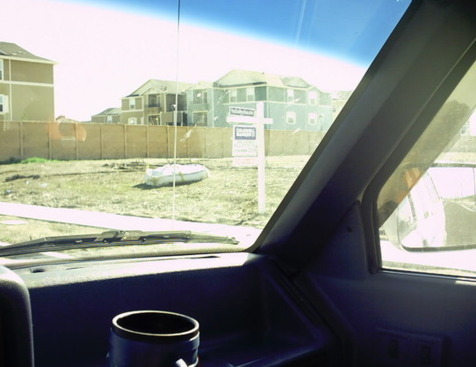 But in the last few weeks he started coming by again, idling his truck outside my window; while he supposedly comes to open the gate of the nearby constuction site, he makes sure his truck lights are pointed into my windows, & he stays there far longer than necessary. I then took these pictures. After I took these pictures, he left, once again honking his horn. Ford truck, Lic. plate # 8E46185. I have reported his harassing acts to the authorties. They don't have the guts to stand up for justice, & instead commit hate crimes to fit in with the local "powers-that-be"
Pursuant to their conspiracy, depriving me of a place to live & work (for 9 mos. I have been sign waving for a Sacramento company, making less than $300/mo. ; I've been marketing magnetic water softeners for 7 mos. with 4 local sales, total profit of $600; total income <$400/mo. & I have been applying for jobs daily. I also have to pay for my legal battles out of this amnt). They then assert that because I have to use public rest rooms, I'm freeloading, & that justifies more discrimination from them, & I should instead give up & dumpster dive! A vicious cycle! THE "DRESS CODE" OF HARASSMENT & CASING OF ME IN DAVIS, & PARTS OF WOODLAND, PROVES THEY ALL KNOW ABOUT MY SUFFERING & THE VIOLATIONS OF MY RIGHTS, YET THEY FAIL TO HALT IT! Furthermore, if you ask them to stand up for your rights, many deny knowing anything about it! They cunningly attempt to dupe you into thinking they're kidding; but know this: If you don't refute them, they will consumate the terrorist plots, & they'll say they are justified because you didn't stop them! 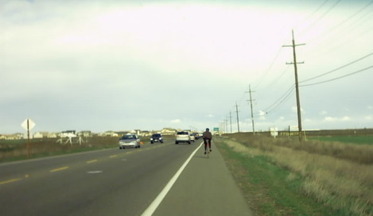 While sign waving, they ride by me or jog past me in black clothing at a rate of 2 dozen or more each day while I am sign waving (90% of the people who go by me in that location are wearing black, & virtually all of the cyclists). 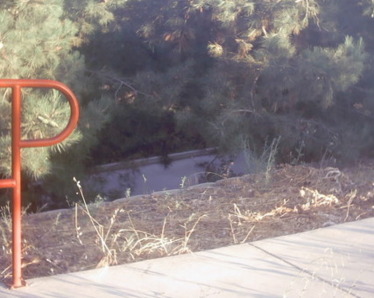 AS OF JULY 2009 I PURCHASED A BIKE TO CYCLE TO WOODLAND FOR SIGN-WAVING, TO SAVE BUS FARE ($32/MO. 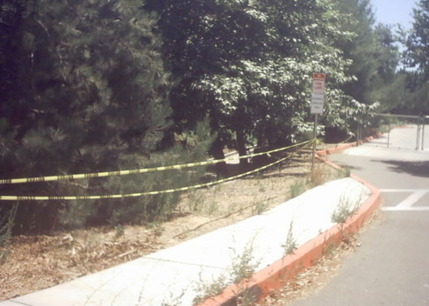 ), & INSTANTLY MOST OF THE BLACK COLOR-CODED CYCLIST STALKING CEASED. WHY COULDN'T SOMEONE HAVE SIMPLY MADE A FRIENDLY SUGGESTION THAT I PURCHASE A BIKE INSTEAD OF STALKING ME OVER BUDGET FRUGALITY!? THEY ARE THE ONES COMMITTING FELONY CONSPIRACIES TO KEEP ME FROM HAVING WORK & INCOME, THEN THEY CASE ME & STALK ME OVER HOW I BUDGET WHAT LITTLE INCOME I HAVE! THEY ARE ACTUALLY COMMITTING FELONY CONSPIRACIES TO ORCHESTRATE LABORATORY RAT EXPERIMENTS SO THEY CAN MAKE JUDGMENTS ABOUT HOW FRUGAL I AM!!! 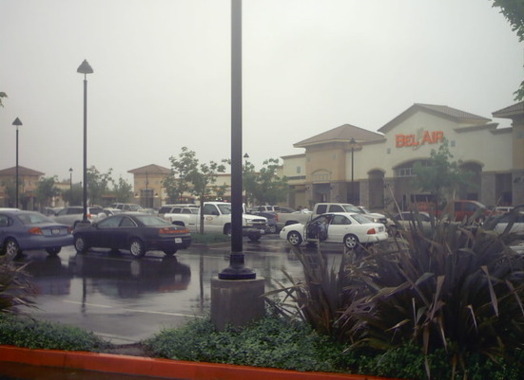 Landscapers in the Davis area, mostly Mexicans, half of them wear black jackets & hoods on a daily basis, in hot & cold weather! This terrorist's picture was taken in July 2009! 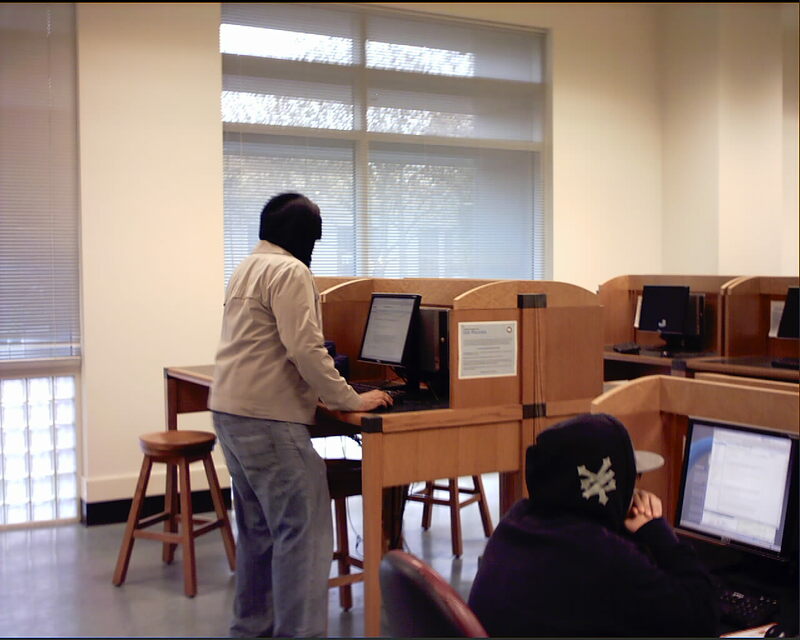 Yet another oppressor in Shields Library at UCD. They case & stalk me on a daily basis, & they can't hide the fact that they are wicked criminals! 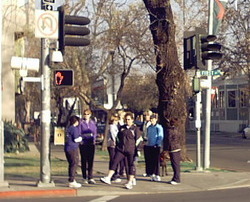 Below are pictures of people in Davis in the downtown & East Davis area to demonstrate there is a conspiracy, a code of silence, & systematic casing & stalking of me. The systematic dress code of black clothing to intimidate me is actually minimal compared to some of the threats & hate crimes: The community-wide conspiracy has prevented me from obtaining work, prevented me from renting a place, & they have a plot to send me to death row. Many pictures deleted due to space limitations. 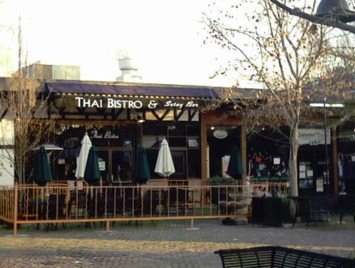 When I started shopping at Fuzio's, in Davis Commons, they simultaneously changed their receipts from "Fuzio's Cafe" to "Fuzio's Bistro," asserting that "resistance to the plot is futile"
Zen Toro, located at Third & E Sts. 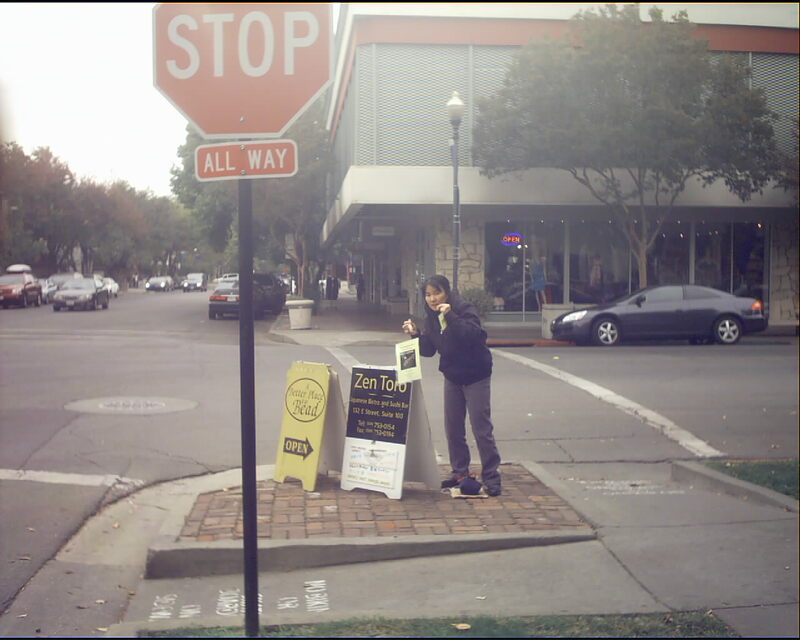 A female touching up the Zen Toro sign; because I have been betrayed so much I am including it on my web site. 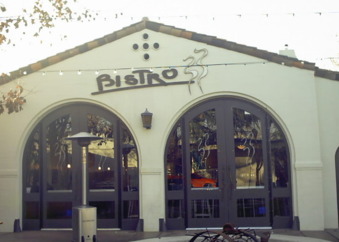 This is the only "row" phoneme cafe/restaurant that I didn't include on my "Picture Proof" page; Zen Toro was left off my web site deliberately, & couple of mos. 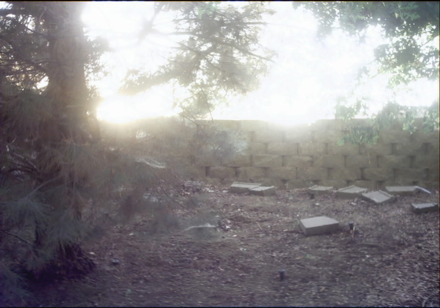 ago a female made the comment "We have Toro" ("We have to 'row'"); with the casing, stalking, threats, & willful neglect of ordinary care & protection, there is no leeway for any benefit of the doubt with such comments, especially when spoken using their codes out of context & without elaboration. With many of these monsters, if you attempt to trust them or give them the benefit of the doubt, they have no choice but to attempt to destroy you, because exhibiting any trust in them them means you had no choice but to trust them, therefore you are "needy" & you must die for being in such a condition. Nevermind that trust is a basic element of any civilized society, & trusting others has nothing to do with being "needy;" & also, if a person was needy, since when is that deserving of death row?